The weekend has arrived, but for the majority of the US it’s accompanied by the second wave of polar vortex temperatures. If you’re anything like our staff you are well past having cabin fever and have descended into a level of madness that makes you wonder whether or not you actually remember what it’s like to spend an afternoon outside. Thankfully, the internet is here to distract us from the cold and isolation with a parody video we should have seen coming from a mile away. 2ChinTV, a YouTube channel specializing in comedy videos, recently released a video featuring Mr. 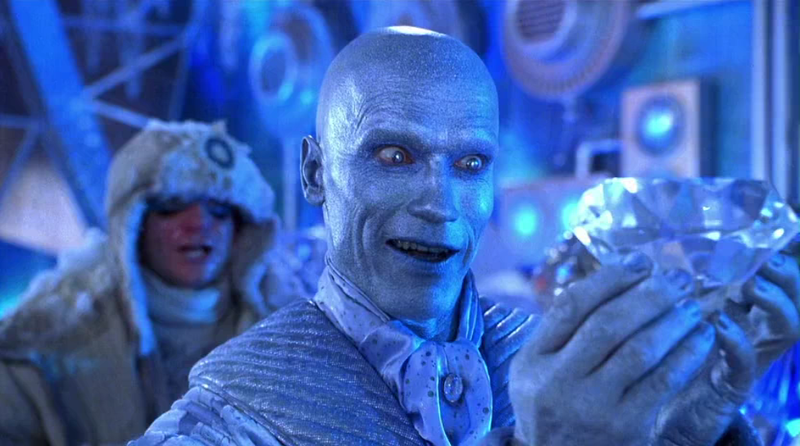 Freeze from Batman comics singing “Let It Go” from the hit Disney film Frozen. The audio has been added to a hilariously well-edited video featuring footage from the 1997 film Batman & Robin, which starred Arnold Schwarzenegger as Dr. Victor Fries. You can view the parody clip below. Just to be clear – that is not Ah-nold singing. The 2ChinTV did a fine job impersonating the action great. Pixar Animation Studios, the studio behind “Toy Story 3” and “Free Birds,” presents “Freezin’,” a stunning big-screen comedy adventure. Determined scientist Victor (Arnold Schwarzenegger) sets off on an epic journey—teaming up with his loyal henchmen—to make Gotham City pay for his wife thawing research. The film is directed by Christoher Nolan (“Batman,” “The Prestige”) and produced by Michael Uslan (“Swamp Thing”). Featuring music from Golden Globe®-winner Diane Warren (“Space Jam,” “Mannequin”) and U2. In this clip… Victor, heartbroken over the freezing of his wife, escapes Arkham Asylum and completes his freeze ray, blanketing Gotham City in ice. Frozen is in theaters now. Batman & Robin should never be mentioned again.